You are here: Home / Tenancy Agreements page updated March 2019 / When to use an AST / What is an AST? The majority of tenancies after 22nd Feb 1997 are Assured Shorthold Tenancies [AST]. The main reason these are preferred by Landlords is that when the Housing Act of 1988 was introduced the Section 21 came into being. This meant a Landlord has a legal right to demand possession of the property be returned to their control. Provided a Landlord is entitled to do so, an AST should always be issued. As an investor if you are purchasing a property with an incumbent Tenant you need to satisfy yourself as to what tenancy exists. Otherwise, you could be spending a premium and have significant problems regaining possession of the property. This is because different tenancies are governed by different rules especially with regard to the service of notices and termination. What may be valid in respect of one tenancy could constitute a harassment or illegal eviction in another. 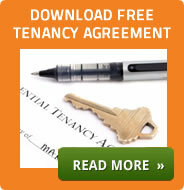 This is why it is essential that you know what type of tenancy you are dealing with. If you embark on the wrong course of action, it could expose you to expensive litigation, huge legal fees and financial risks.